Abraham Lincoln opposed slavery throughout his life, and, by freeing slaves during the American Civil War, he did more to improve the lives of Black Americans than any other president. Lincoln referred to slavery as a "monstrous injustice" and "a moral, social and political evil." With characteristic eloquence, he wrote in 1864: "I am naturally anti-slavery. If slavery is not wrong, nothing is wrong. I can not remember when I did not so think, and feel." Yet Lincoln did not originally intend to eliminate slavery. 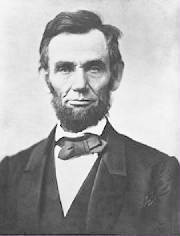 On August 21, 1858, in his famous debate with Stephen Douglas, Lincoln said: "I have no purpose directly or indirectly to interfere with the institution of slavery in the States where it exists. I believe I have no lawful right to do so, and I have no inclination to do so." It was only when Lincoln feared losing the Civil War that he freed slaves in the South. "If I could save the Union without freeing any slave I would do it," wrote Lincoln in 1862. "What I do about slavery, and the colored race, I do because I believe it helps to save the Union." Nor did Lincoln support equal rights, as he made clear in a speech on September 18, 1858: "I am not, nor ever have been in favor of bringing about in any way the social and political equality of the white and black races .... I am not nor ever have been in favor of making voters or jurors of negroes, nor of qualifying them to hold office, nor to intermarry with white people; and I will say in addition to this that there is a physical difference between the white and black races which I believe will for ever forbid the two races living together on terms of social and political equality. And inasmuch as they cannot so live, while they do remain together there must be the position of superior and inferior, and I as much as any other man am in favor of having the superior position assigned to the white race." In a speech on October 15, 1858, Lincoln went even further: "We profess to have no taste for running and catching niggers -- at least I profess no taste for that job at all. Why then do I yield support to a fugitive slave law? Because I do not understand that the Constitution, which guarantees that right, can be supported without it." Lincoln's answer to racial conflict was colonization. In a meeting with Black leaders on August 14, 1862, Lincoln tried to persuade his listeners to establish a colony of free black people in Central America. Speaking on behalf of white people, Lincoln said: "There is an unwillingness on the part of our people, harsh as it may be, for you free colored people to remain with us .... If intelligent colored men, such as are before me, would move in this matter, much might be accomplished. It is exceedingly important that we have men at the beginning capable of thinking as white men." * Lincoln was both an abolitionist and a racist. This view, however, is not taught in our public school system. Although Lincoln was a racist, it by no means detracts from the fact that President Abraham Lincoln forever abolished slavery in the United States.